The clinical diagnosis of appendicitis is a subjective synthesis of information from variables with ill-defined diagnostic value. This process could be improved by using a scoring system that includes objective variables that reflect the inflammatory response. 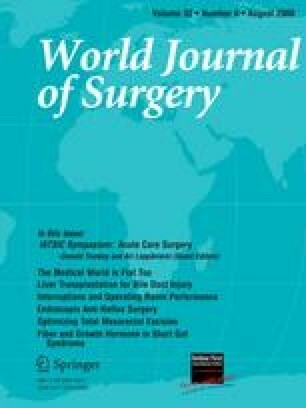 This study describes the construction and evaluation of a new clinical appendicitis score. Data were collected prospectively from 545 patients admitted for suspected appendicitis at four hospitals. The score was constructed from eight variables with independent diagnostic value (right-lower-quadrant pain, rebound tenderness, muscular defense, WBC count, proportion neutrophils, CRP, body temperature, and vomiting) in 316 randomly selected patients and evaluated on the remaining 229 patients. Ordered logistic regression was used to obtain a high discriminating power with focus on advanced appendicitis. Diagnostic performance was compared with the Alvarado score. The ROC area of the new score was 0.97 for advanced appendicitis and 0.93 for all appendicitis compared with 0.92 (p = 0.0027) and 0.88 (p = 0.0007), respectively, for the Alvarado score. Sixty-three percent of the patients were classified into the low- or high-probability group with an accuracy of 97.2%, leaving 37% for further investigation. Seventy-three percent of the nonappendicitis patients, 67% of the advanced appendicitis, and 37% of all appendicitis patients were correctly classified into the low- and high-probability zone, respectively. This simple clinical score can correctly classify the majority of patients with suspected appendicitis, leaving the need for diagnostic imaging or diagnostic laparoscopy to the smaller group of patients with an indeterminate scoring result.